Achieving better diesel or gas mileage on the highway is currently a hot topic. Fuel economy efficiency is something you should think about before buying any car that you will be using every day. With the rising costs associated with gasoline and diesel, our money saving tips will reduce your money spent at the gas station. There are three main factors that effects miles per gallon, which are engine size, type of vehicle (SUV, Sports Car etc) and driving style. Thanks to technological advances, the majority of new vehicles have seen an increase of fuel efficiency from their predecessors. However, engine are getting smaller with many cars having their V8 engines replaced by a turbocharged V6 to improve city driving. Larger cars will also consume more gasoline or diesel than smaller vehicles due to weight and often limited aerodynamic design. Therefore if you are concerned about your miles per gallon, a large boxy SUV is not the obvious choice. 1 How to Calculate Miles Per Gallon (MPG)? 2 How To Get Better Gas Mileage? How to Calculate Miles Per Gallon (MPG)? The calculation for Miles Per Gallon by dividing the miles covered (starting to ending destination) by the number of gallons of fuel used. For example, if you drove 150 miles using 6 gallons of fuel, your miles per gallon would be 25 MPG. The result of this calculation would be the total fuel costs of the journey. We have discussed three major factors of gas mileage that are driving style, type of car and engine size but what else can be done? Incorrect tire pressure that is under inflated will cause additional friction between the tire and the road that requires more engine power to maintain or increase the speed. Checking your tire pressures using an powerful car tire inflator on a regular basis is the best protocol to ensure better gas mileage as well as safety concern with incorrect tire pressure. A well serviced car that uses synthetic motor oil as well as clean filters will run more smoothly and efficiently. If your vehicle isn’t serviced regularly, your miles per gallon figures will slowly drop as well as other significant factors. Higher Octane Fuel and Additives. Higher Octane gasoline or diesel contains more additives and is more refined than regular fuel. This means that your vehicle will run more efficiently and thus there would be a performance boost. Higher octane fuels cost more, however you will be returned with an increase in fuel economy that will return the initial investment in better quality fuel. There are also many additional fuel injector cleaning additives that improve fuel economy for both diesel and gasoline. Remove Roof Bars and Boxes. Unless necessary to keep the roof bars and boxes on the car, you should take them off if not to improve fuel economy. As the wind noise from driving suggests, the roof bars and boxes are causing extra drag that require additional engine power to overcome it. As long as your car is not too old, you will be able to get your vehicle remapped by a reputable tuning company such as AWE Tuning and others . When people hear the term “remap”, they often associate it with increasing the cars performance with extra power and torque. However, you can decide what type of tuning you require and this includes better gas mileage from a remap. As well as remaps, there are also tuning boxes that can be removed quite easily because they are usually connected to the common rail. A new and clean air filter will achieve better gas mileage than a dirty old one because the gasoline will have a better fuel mixture. With a dirty air filter, the ECU of the car will need to increase the mixture that uses more fuel. Air filters are relatively cheap and should be change regularly for many other benefits other than miles per gallon. A selling point for the majority of car owners is the excellent fuel economy that they may achieve. However, what if they won’t live up to their expectations that you were led to believe? Unfortunately, the majority of the time its very hard to achieve said results even by following the methods mentioned in this article. The next step would be to take your vehicle to a mechanic, who would look further than just the basics. There have been many high profile cases of manufacturers falsely claiming fuel economy figures, therefore do your research and if the gas mileage is still bad, take the next step to take the car to the dealership and complain. Taking the three main factors and the 6 additional methods to achieve better gas mileage, you should have a better idea. Increasing your miles per gallon could save hundreds of dollars each year depending on how many miles you travel annually. 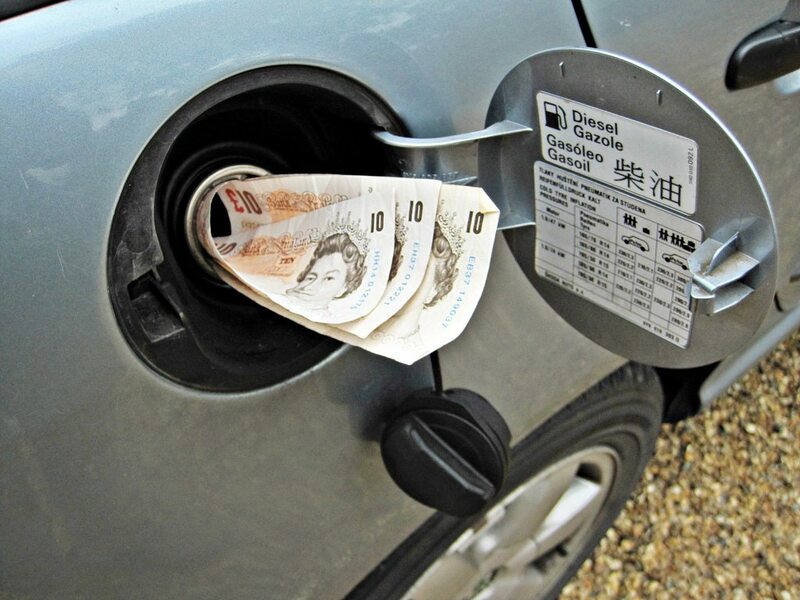 There are others methods to save money on fuel that include filling up your vehicle in the cold mornings. This is because the fuel is more dense and you will get a bit more fuel for your money as it gets warmer throughout the day. Another myth is that sticking your car in neutral is better than coasting in gear. This simply is not correct. The majority of cars will halt the fuel to the engine when coasting in gear where as in neutral, the engine requires fuel to prevent the engine switching off.